Killer sudoku can look a little daunting to the uninitiated, as the grid (as can be seen on the right) starts completely empty. This looks very bare in contrast to the standard sudoku grid which is populated with a good number of cells containing a number at the start of the puzzle. The puzzle is also known as sumdoku and addoku. 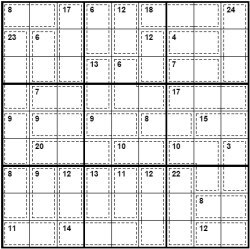 However, killer sudoku provides a lot more information than ordinary sudoku, and this is why it is possible to start with a blank grid: every cell in the puzzle belongs to a dotted region, called a 'cage', which has a small number within it. This number is the sum total of the cells within that cage. Thus if there are three cells and a 6 at the start, then you know those three cells must sum to six, and in this instance must be 1,2,3 in some order. 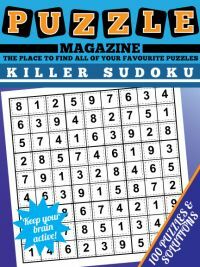 The key to solving killer sudoku is to use this information to quickly reduce the possible candidates for each cell, and then as you start to solve the puzzle more and more of the familiar rules from ordinary sudoku will come into play. Thus learning and spotting cages that have very few or perhaps even one starting option are essential to solving killer sudoku at speed. As with many sudoku variants, there is also a tipping point whereby you may initially make slow progress but after you have whittled down the options enough, you will then be able to solve the puzzle fairly straightforwardly. 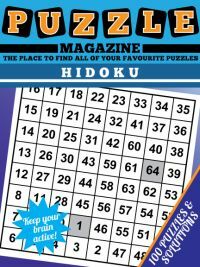 This killer sudoku magazine is a PDF that you download and print at your leisure to play the puzzles you want when you want to play them. 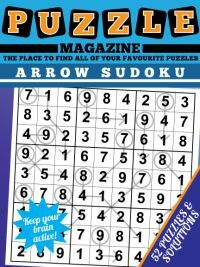 It contains 100 killer sudoku puzzles and their solutions, containing 50 pages in total. 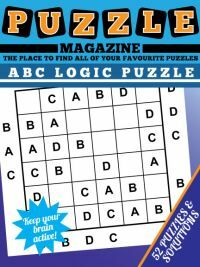 The puzzles are presented four a page, and you may view the first page of killer sudoku magazine page. 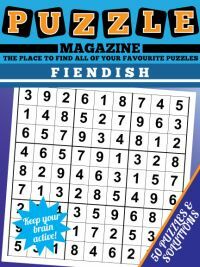 Feel free to print and play the puzzles before deciding if you wish to purchase all 100 puzzles. 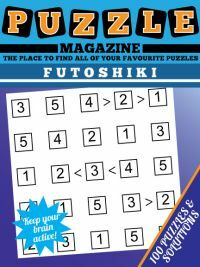 The 100 killer sudokus get progressively more difficult through the magazine, so the first few puzzles are the easiest, and get gradually harder as the magazine progresses.